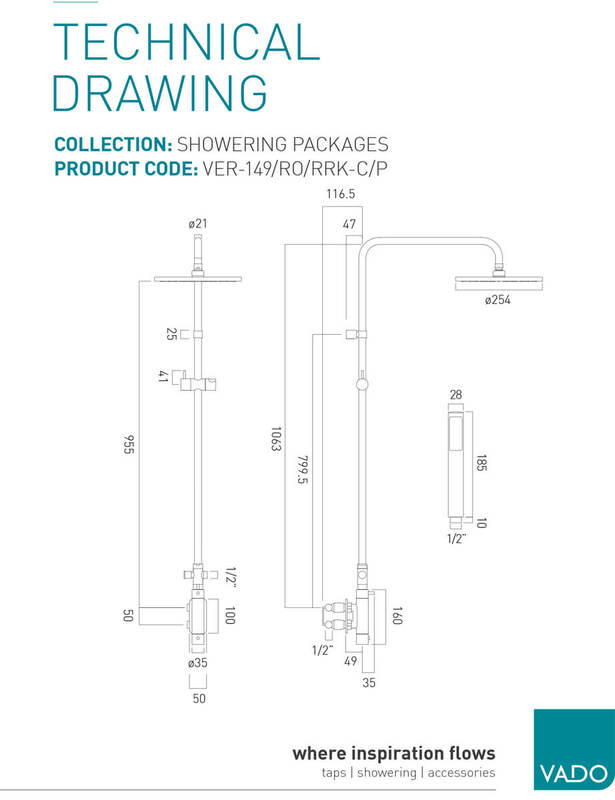 Update the appearance of your tired bathroom simply and effortlessly, by adding the Vertix Shower Valve, beautifully designed by Vado. 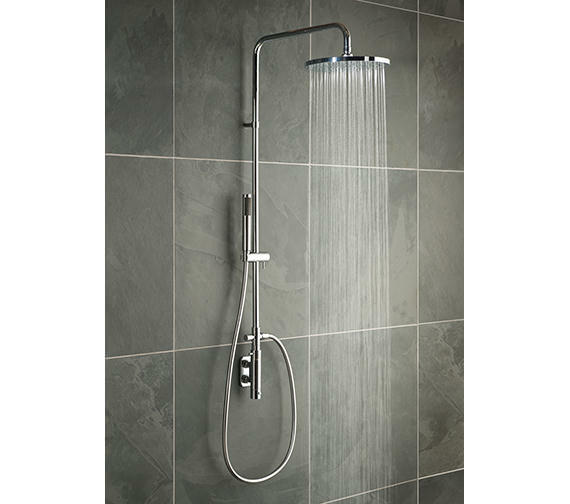 This exposed, thermostatic valve, with riser kit, incorporates shower head and single-function handset, for enchanting and pleasant showering sessions. All the elements feature a glinting chrome finish and combine to go well with any enclosure or bathroom setting. 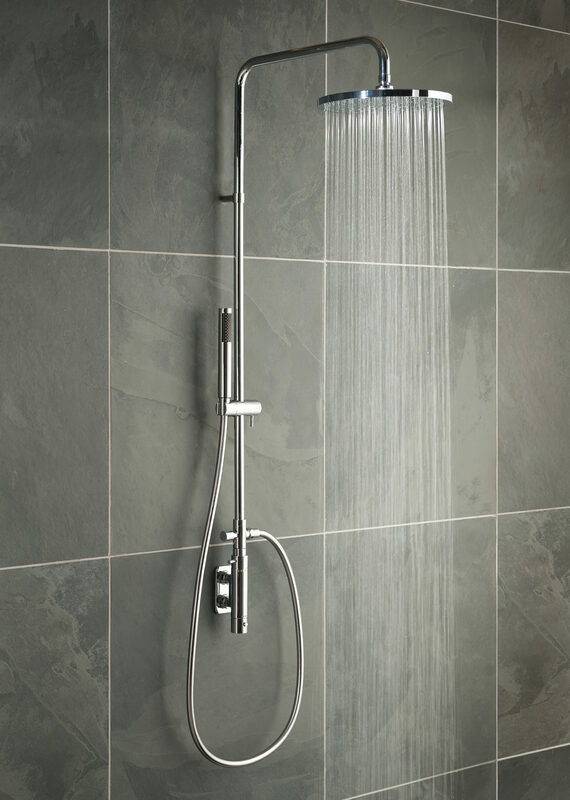 The wall-mounted fixture smoothly operates under minimum 1.5 bar water pressure and suits medium pressure system. H2 Eco: Suitable for all Vado shower and bath shower mixers, this flow regulator is placed on shower outlet flow regulated to 9 litres per minute. Can save up to 80% water usage. This is the second time I have bought this item, I had my bathroom done 18 months ago and then moved recently so I've had another bathroom done and have fitted the same shower. I just love it, the main shower is perfect and I use the smaller one when washing my hair. If I decide to move again and was fitting another bathroom out I would again buy this model of shower, great price as well and well worth the money. My bathroom isn't quite ready yet, otherwise I'd have sent a photo.